by Staff Writer Li-Jian T.
Students along with parents made their way to the field filled with small, intriguing booths. This years spring fest was larger, and louder than any other year. Featuring many clubs, and bands that would ensure the events success. The field invitingly filled with booths lured both students and parents alike. This years spring fest was an overwhelming success. The event resulted in many satisfied spectators and bands that had performed their best. 5 pm marked the beginning of an eventful and busy evening. The booths ranged from face painting to the selling of plants in order to raise funds for gardening club. There were various food trucks with constant streams of costumers. The night gave way to some moving performances that were remembered long after the event. 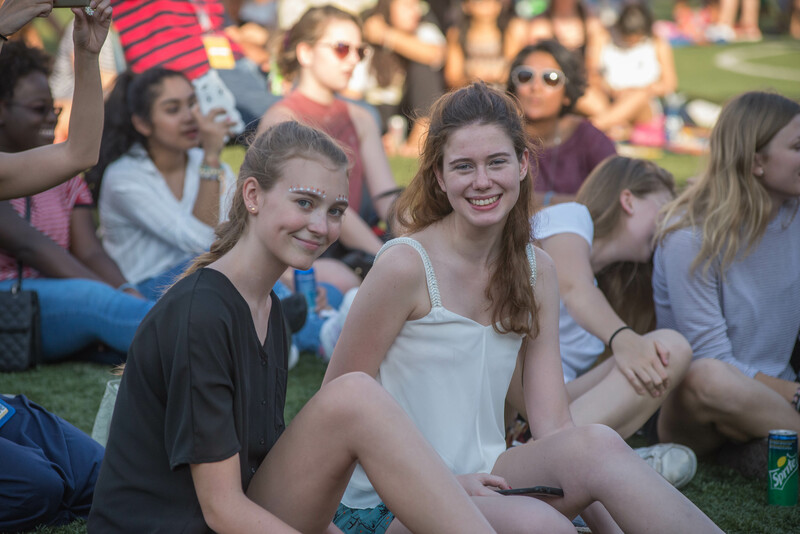 Spectators gathered on the grass and listened to the stream of student talent.